The death of these two children, two tragedies occurred with eight days apart, show that the death is walking through the streets of the city and does not distinguish age. Until the 30 of September, only a child had died in 2017 because of a traffic accident in Cartagena: a child of 2 years on the 4th of January, which was hit by a car the in district New Forest. If we extend the spectrum to all of the department of Bolívar, not counting the two recent cases of Cartagena, the deaths of children already numbered five. But while the number of children killed by accidents is small, but this is less of a concern, it falls short if you compare it with the global data. In Colombia, in so far this year, 3.594 people have perished in the ways of the country. Of this total, 728 cases have occurred in the Caribbean region, which represents 20.2%. In Bolivar, we recorded 101 deaths, and in Cartagena 42. 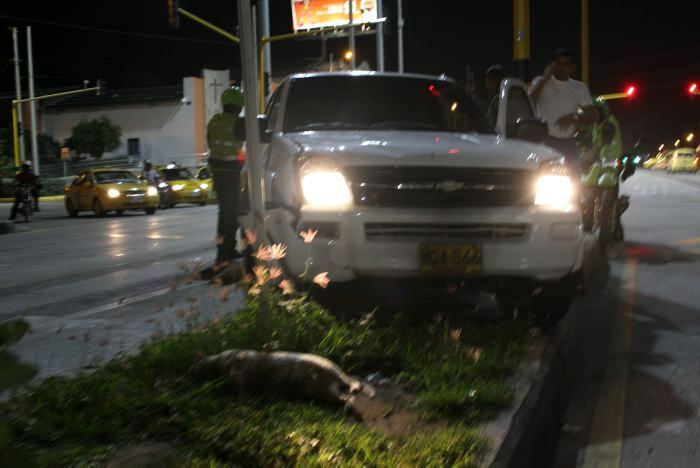 According to the latest data of the National Police, the neighborhoods of the city where there were more deaths by traffic accident are Mamonal, Olaya and San Isidro with three, followed Bathrobe, High Forest, The Forest, Colombiatón, The Relief, The Alps and Marbella with two. The other neighborhoods where recorded deaths are on the 13th of June, Antwerp, Cheap Rice, Bazurto, Calamarí, El Cabrero, El Cairo, El Espinal, El Pozón, La Quinta, Manzanillo, New Forest, Foot of the mountain, the Beaches White, Santa Maria, Santa Monica, Veal, Carolina and India. Beyond Cartagena, which obviously by its population is the city of Bolívar, with more deaths due to this cause, there are other municipalities that, although to a lesser extent, also added in this count negative. After The Heroic, Carmen de Bolívar, Magangué and Turbaco are populations where most cases are with eight each. They continue to San Juan Nepomuceno with five, Santa Rosa, with four and Arjona, María la Baja, Mompox and Paul with three. When you compare the numbers, 2017, with a cut to 30 September, with the same period of time, 2016, it is evident that there is a 19% reduction in deaths by traffic accident in the department of Bolívar. In the case of Cartagena, there is a reduction of 29%. If these percentages are translated into concrete figures, the Police data reveal that, in Bolivar, there were 125 deaths in 2016 while the sum in 2017, will in 101. In Cartagena, the last year, there were 56 cases while this year the account goes 41. The numbers also improve when speaking of the Caribbean Region thanks to a reduction of 3.5%. While the deaths in September of 2016 amounted to 755, this year the figure stopped at 728. At the end of last year, the number of victims came to 1.013. These numbers are to the downside, though, to give a look hopeful for the future if the trend, do not cease to be worrisome if one takes into account that the majority of accidents occur due to recklessness of drivers and pedestrians, and not for mechanical failures. So, this confirms the idea that driving is not a right but a responsibility, because the driver has in his hands a weapon of four wheels.